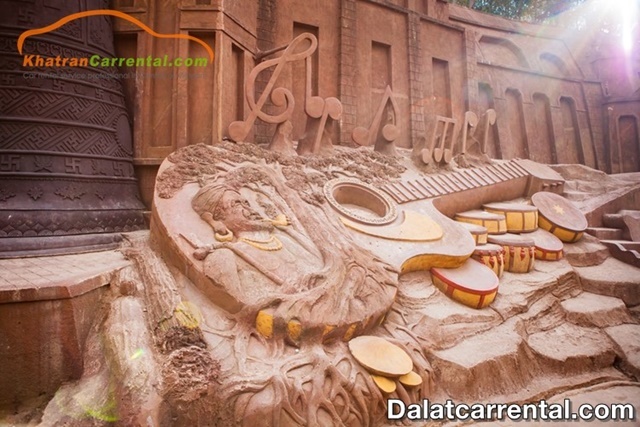 Da Lat – a city of mist, the hundreds of places to visit extremely impressive. 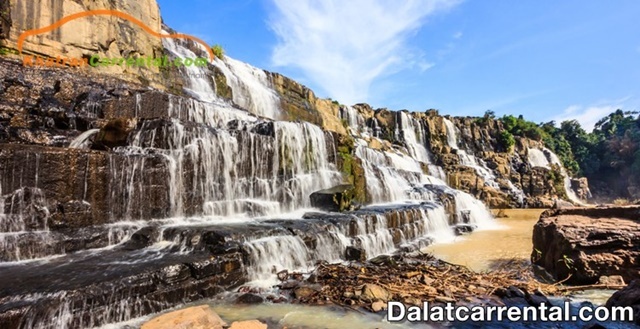 Da Lat tourism has become the hottest search keyword this year. 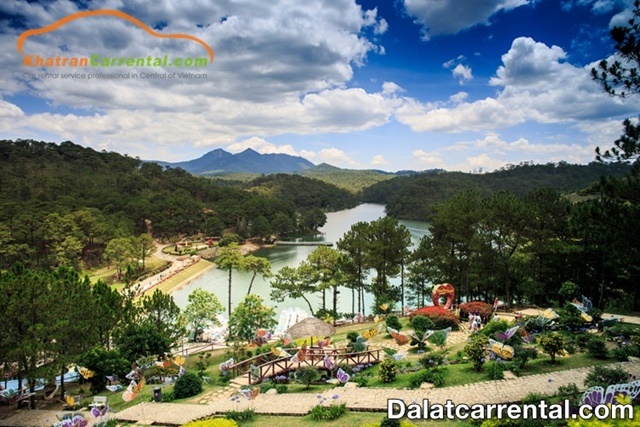 Let Kha Tran car rental find out the top 10 hot spots, top 10 tourist attractions in Da Lat in 2019, this will be a great suggestion for your trip. Located about 5km from north of the city, Valley of Love is the most famous place in Da Lat. This valley attracts visitors by pine trees surrounded by green, in the middle of the Da Thien’s levee gathered many small streams from the mountain fall down. Visitors to the Valley of Love can walk up the stairs, admire the scenery on horseback, on the jeep or sail in the middle of the lake. The fable of the bridge, love labyrinth, the aerial taps also make up the spotlight. Dubbed “roof of the house” of Da Lat with the height of 2000m above sea level, Langbiang Mountain is a suitable place for picnic and adventure. From the top of the mountain can view the landscape around the poetic, lyrical, hidden in the clouds. At the foot of the mountain there are many restaurants and pubs, where visitors can watch the entertainment, exchange, drink wine, fire camp and listen to legend Langbiang or interesting cultural stories. of people here. Windmill Bakery is a small bakery located at 1A Hoa Binh Street, which quickly became the hottest shooting location in Da Lat in 2019. Featuring a wall of yellow eyes, on the wall also. Many patterns are drawn meticulously. The impressive exterior with fancy backgrounds is a special highlight of this bakery. Initially only a few young people enjoy, after a while, the bakery becomes “hot” with the background is interesting and is known nationally as the check-in icon of Da Lat. 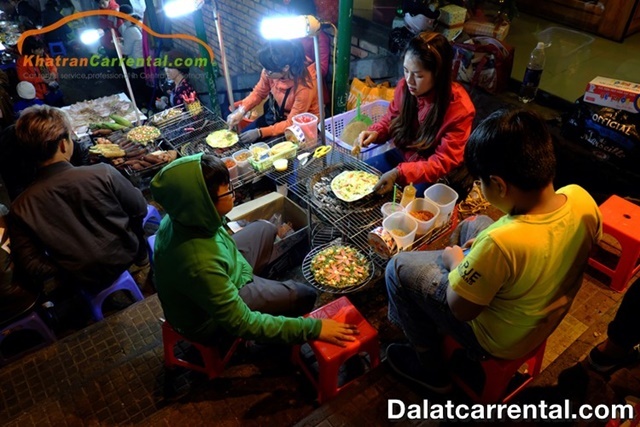 Traveling to Da Lat without going to the night market is a big loss. Walking around the market, enjoy the cold air of the city, enjoy the delicious cracked nose is the great enjoyment. 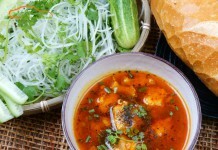 Most of the dishes at the market are fresh and hot dishes such as boiled corn, grilled squid, roasted sweet potatoes, baked rolls, … In addition, there are also a number of clothing, shawls, hats wool, souvenirs at very reasonable prices. This is a popular place to appear in hit movies or wedding photos of couples from all over the country. 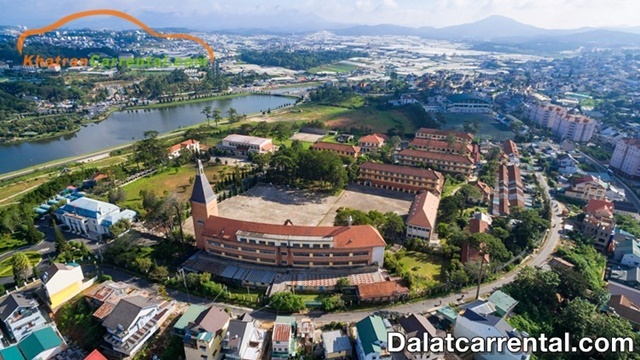 Pedagogical College of Da Lat is the next destination in the top 10 most attractive places in Da Lat. The school was built in 1927, with European architectural style and was voted by the UIA to be a unique building, typical in the 20th century. Called “the heart of Da Lat city”, Xuan Huong Lake is the destination you need to pocket in Da Lat travel guide. Located in the heart of the city, surrounded by pine forests, lawns and flower gardens, Xuan Huong Lake is a lot of visitors to come. The name “Xuan Huong” as the image of the romantic poetess “Ho Xuan Huong”, thanks to which this place becomes more dream in the heart of tourists. 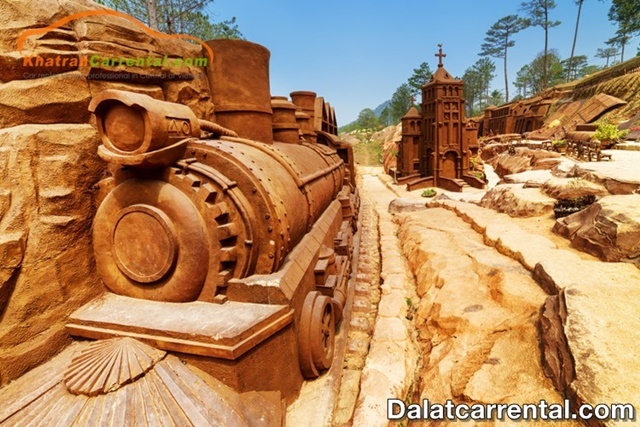 If you desire to see Da Lat periodically through the unique sculptures on clay, the Clay Tunnel is where you need to. This is a great achievement of man, built elaborately and majestic with 1.2 km long tunnel, width from 2-10m and depth from 1 to 9m, especially the house is made entirely of clay, lightning about 90m2. The opening time of the Clay Tunnel is from 7:30 to 17:00 every day. Many people call Linh Phuoc Pagoda is Ve Chai Pagoda because in the temple yard there is a dragon up to 49m long made of 12 thousand bottles. 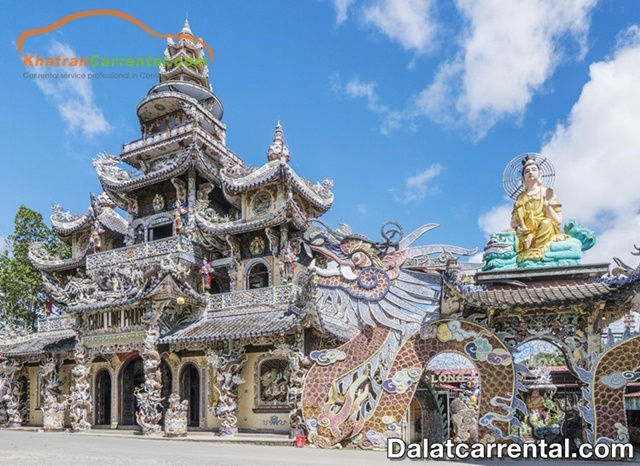 This temple is also known as one of the outstanding mosaic architecture of Da Lat. It is also a sacred place of worship, very suitable for Buddhist followers. You can move to Linh Phuoc Pagoda by train or Da Lat private car from Da Lat station. Once considered by the French as the most majestic waterfall in Indochina, Pongour Waterfall will be a great place to discover if you ever come to Da Lat. The tower consists of seven storeys, 40m high, surrounded by a primeval forest of 2.5 hectares. Come to Pongour Waterfall in October, you can also admire the jungle forest. This place is also an ideal place for photographers who want to have the most complete photo album. 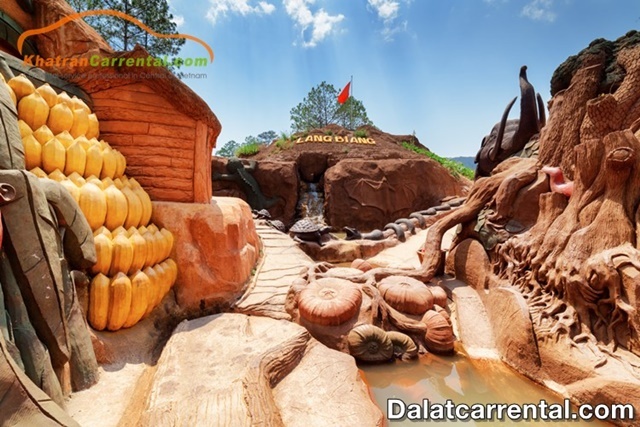 In addition to the famous Da Lat tourist sites that we mentioned above, there are many other interesting attractions. 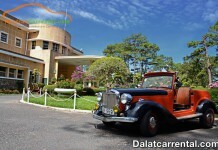 Dalat car rental will give you a free or fee places to visit Da Lat. 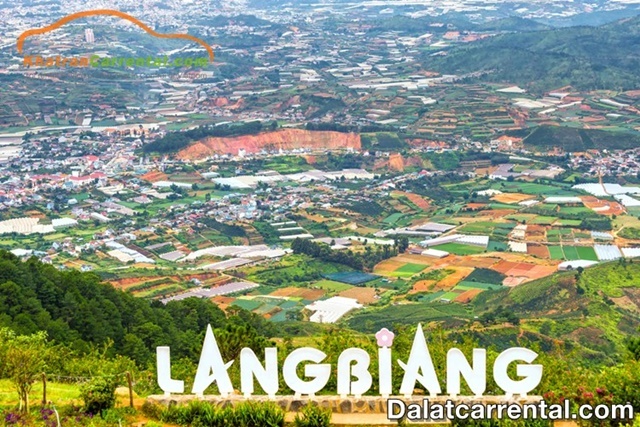 Free tourist spots in Da Lat: Pine Hill two grave, Da Lat flower forest, Domaine de Marie Church, Lam Vien square, Truc Lam workplace, Tuyen Lam lake, Van Thanh flower village, Cau Dat’s hill tea, Vinamilk Organic Farm ..
Da Lat Dreaming is not only beautiful in singing verses, poems but also beautiful in the eyes of visitors. Book right on the trip Da Lat self-sufficiency in this summer to not miss the wonderful events of the city of mist. If you need to rent a car in Dalat please contact hotline: (+84) 91 509 02 01 (Mrs Anna) and (+84) 91 651 02 01 (Mrs Katharine) for specific advice.